So you’ve probably heard that Apple just had its worst quarter since 2003. Not as many people are buying iPhones as they used to, and Team Tim Cook didn’t make as many bajillion dollars as it usually does. Sad! Don’t worry, fan friends. 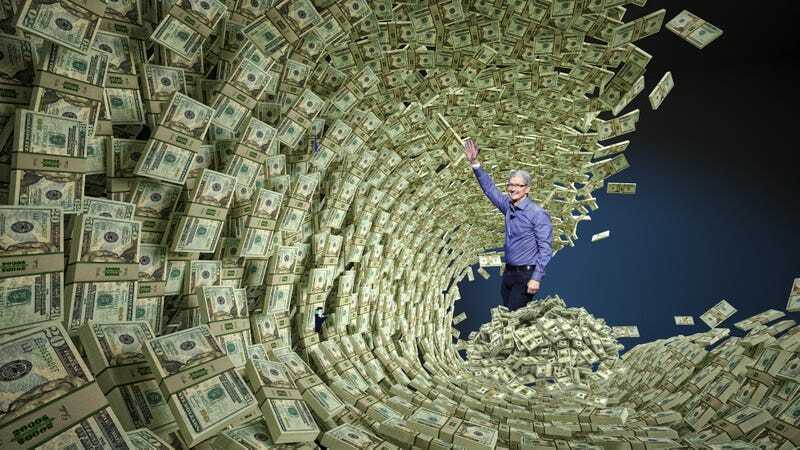 Apple still has plenty of cash on hand. In fact, it has more than ever: $233,000,000,000. That’s a little less than the GDP of Ireland, where Apple takes advantage of some intense tax loopholes. Nice! Oh and in case you still can’t comprehend how big a stack of cash that is, here’s how Apple could basically buy everyone. Wow!